Today, on August 9, 2018, Russian invaders summoned Crimean Tatar women Nadzhie Adzhi-Mamutova and Selime Aliyeva for questioning, the public organization Crimean Solidarity reported. According to human rights activists, the women were summoned for questioning to the so-called "Investigative department of Alushta city of the Investigative Committee of Russia for the Republic of Crimea" in the case of Gulsum Aliyev. Adzhi-Mamutova and Alieva were accompanied by lawyer Edem Semedlyaev, who represents Gulsum Aliyeva's interests and provides counseling services to the family. Previously, on the morning of July 19, FSB officers in the occupied Crimea broke into the house of the Crimean Tatar Muslim Aliyev, involved in the "case of the Yalta group". According to human rights activists, more than 10 security officials were engaged in the operation. 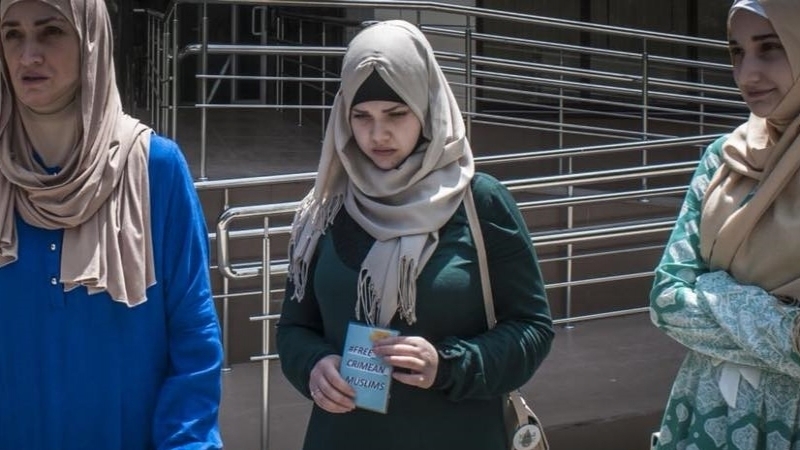 Soon after it, Muslim's daughter Gulsum Aliyeva was charged in connection with the publications on the page of the public organization Crimean Solidarity on Facebook. She was given a decision on suspicion of inciting ethnic hatred in social networks and summoned for questioning. On July 19 Gulsum Aliyeva was released from the Alushta department of the Investigative Committee in the occupied Crimea.